That’s one of my favourite movie quotes and comes from Robocop, the story of a dystopian future in which a Detroit cop is brutally murdered by a criminal gang, then resurrected as a part-man, part-machine super-cop. However, one sentence into this week’s article and I’m digressing already. It’s just that quote popped into my head when I became aware of photographer disquiet over the latest stock image launch, Dollar Photo Club. 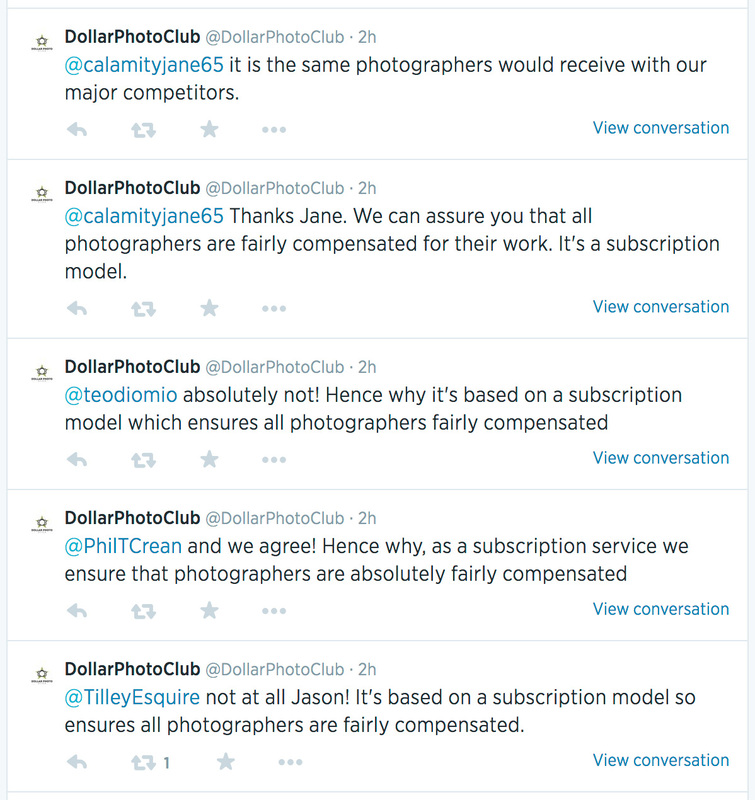 I’m not entirely sure what the difference is with Dollar Photo Club over other stock image library services, or why they might be seen by photographers as any worse than any other micro-payment library. DPC is an off-shoot of Fotolia, another micro-payment stock image site. They have a promise of any image $1 forever, which I presume will hold until such time as all their competitors are selling images for 50c a pop, but the $1 per image price has been around for years and is possibly the lowest price any library can currently charge if they want to cover their hosting and bandwidth costs, let alone make a salary for their staff and bosses. You’ll note I’m not including photographers’ fees there, because photographers who supply these agencies generally get very close to $zero for their images, which is why it’s mostly amateurs who have no need to make money from their work who supply the likes of Fotolia (and iStockphoto, Shutterstock and so on). This price promise is spelled out in their own paraphrasing of another movie quote: The first rule of Dollar Photo Club is: all images are $1. The second rule is: ALL IMAGES ARE $1. Clearly there’s a Fight Club fan at DPC. The other promise DPC make is that they’re exclusive. It’s not clear how exclusive they are. The most I could glean from their site is that they only deal with professional designers, so the images aren’t meant for use in personal websites or blogs, but I doubt very much this is properly vetted. Nor do I think it makes much difference, but it is a selling point they highlight on their site so it must be true. Honestly I don’t think there is any more reason for photographers to get vexed over DPC than there is for them to worry about why grass grows. Micro-payment stock imagery isn’t going to go away, but I do feel it’s lost a great deal of credibility with clients over the last few years. Most decent designers will advise their clients to organise non-generic stock images for their websites and brochures and this means commissioning photographers to take original photos for them. And even where some designers are still wedded to the joys of cheesy, generic stock imagery, there are enough discerning businesses out there now who are far more aware of the effect of good photography on their company image to mean the stock libraries are having to sell ever harder to a dwindling client base. *Chicken Little – read it, it’s a ripping yarn!